Objective: Withdrawal of a drug from the market for safety reasons is a serious and sometimes complex decision. The scientific evidence supporting drug withdrawals in the past years is critically appraised. Methods: With data provided by the Spanish Medicines Agency, all drugs withdrawn from the Spanish market for safety reasons from January 1990 to December 1999 were identified. The adverse drug reactions (ADRs) were classified by the year of withdrawal, by the organ/system affected and by the alleged type of reaction (Rawlins and Thompson classification). A systematic review of the literature was performed. Results: A total of 22 drugs were withdrawn from the market due to safety reasons. In 18 of 22 cases (82%), the evidence supporting the drug withdrawal came from individual case reports, cases series or the combination of data provided by randomised clinical trials and case reports. Hepatic (eight cases) and cardiac (five cases) reactions accounted for 59% (13 of 22) of the total withdrawals. In 10 of 22 (45%) cases, drug withdrawal was clearly due to type-B reactions. Only four withdrawals were based on evidence from observational studies including a comparison group. Conclusion: Case reports are the main source of information used to withdraw a drug from the market for safety reasons. 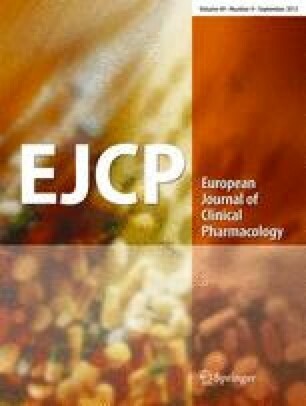 It is necessary to improve the quality of evidence supporting the withdrawal process of drugs linked to unexpected and severe ADRs. The use of large databases to perform cohort or nested case-control analyses is the most efficient and reliable method to study type-A class effect ADRs. The implementation of such databases in different countries could increase the quality of the information on ADRs by allowing researchers to conduct efficiently these type of studies.